Aaron Thompson grew up in Beaumont, Texas where he played youth baseball at the YMCA and Amelia Little League. After he made his 12 year old little league all-stars, Aaron was invited to join a travel ball team out of The Woodlands, “The Woodlands Thunder.” His coach was former Major League pitcher, All-Star and NL Cy Young winner, Doug Drabek. One of his most fond memories of his youth baseball days was when one summer his team played 90 games. Thompson played with hometown friend, Jay Bruce. Jay went OFF in the tourney hitting 3 home runs, and throwing a shut out on the mound. Thompson recalls it as a special memory to have shared and witnessed the birth of a star. As they both spent more and more time with their coach and team mates, Aaron realized that he wanted to and could actually be a pro ball player. If his coach Doug, a two-sport kid from Victoria TX could do it, then maybe he could too? Thompson first attended Kelly Catholic High School in Beaumont, TX. He was a multi-sport athlete growing up, excelling in soccer, football, and baseball. Early on in high school, as a football standout, he was recruited to play college football. His family moved to Houston just before Aaron’s junior football season where he transferred to Houston Second Baptist on scholarship. He was invited to play for Mike Rutledge and the Houston Kyle Chapman program during high school. He recalls Mike as paramount in teaching him how to navigate the recruiting process while he was making his college decision. Thompson’s high school pitching coach at Second Baptist was retired Major League left-hander Jeff Calhoun. Calhoun was Aaron’s first and only left-handed pitching coach of his career. “I can’t explain it, but one day in preseason practice, it just clicked.” says Thompson. “You will hear this same story from many successful ball players throughout professional baseball. I went from throwing 82-85 mph to sitting 89-91 and touching mid 90s in my first scrimmage of the season!” Thompson remembers moving to Houston praying to have an opportunity to get a scholarship, in either football or baseball to help his parents pay for school, but they got much more than that. He was recruited by every major Division I program in the U.S. Thanks to Mike Rutledge’s mentorship, Aaron understood the recruiting process well. Eventually Thompson chose to sign with Texas A&M on a full baseball scholarship as a “2-way player.” Aaron’s grandfather played quarterback at Texas A&M in the late 50s, and all his uncles, cousins, and siblings attended Texas A&M. But Aaron understood the risks of football, so it was easy for him to make the decision to put down football, as well as sign a national letter of intent for Texas A&M. After forgoing college to begin a professional career with the Florida Marlins farm system, Thompson participated in the Arizona Fall League (2008) for the Mesa Solar Sox. This is a high privilege in pro baseball as it is a major prospect league for all MLB organizations. Every organization sends their top 5-6 minor league prospects or big leaguers who need work or show promise, and team up with other organizations to form a league of 6 teams. Following the AZ Fall League, Aaron repeated AA with the Marlins when he was traded (2009) to the Washington Nationals. That off season the Nationals placed him on their Major League roster. After that season between AA and AAA, Thompson was removed from the 40-man roster and picked up off of waivers by the Pittsburgh Pirates. While with the Pirates organization, Aaron pitched from AA to the big leagues, and made his Major League debut at 24 years old with the Pirates (2011) Manager Clint Hurdle. Thereafter, Thompson was placed on waivers and elected to become a free agent and signed with the Twins. 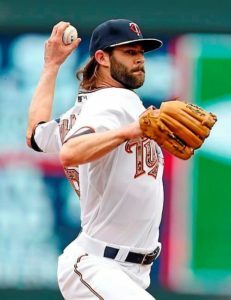 Thompson’s career with the Twins took him out of the bullpen on the Active Opening Day roster in 2014 and continued in 2015 under Hall of Fame player, Manager Paul Molitor. After the Twins organization in 2016, he went on to play with the Sugar Land Skeeters and into 2017 he also played in the Mexican Baseball Leagues until he retired in February of that same year. In 2018, he joined The Cage Houston, an indoor youth baseball training facility and home of the Medina Warriors Baseball organization, to impact the lives of children in a positive way while making them better at a game he loves. 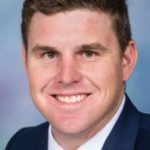 Thompson joins the as the facility’s full-time pitching and hitting instructor and will be available for individual player and select baseball teams’ private instruction as well. Craig Manuel, considered one of the top catchers in Division I College Baseball in 2012 according to Rice University’s Coach Wayne Graham, comes to The Cage with over ten years of baseball experience. Rice University recruited Manuel in 2008, where he was a successful three-year starter. He previously played four years in his Florida high school baseball varsity team. In 2012, Manuel was drafted in the 10th round to the Washington Nationals and led a decorated baseball career through the Minors reaching AAA in 2015. Manuel is looking to give back to the game that has given him so much by coaching young baseball players with a message of hard work and ongoing development. The trainer will provide one-on-one hitting, throwing, catching and fielding mechanics based on player’s skill level. 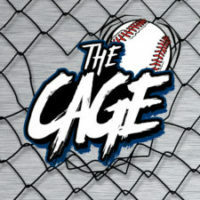 The private training session includes cage rental.